These free smoothie recipes are collected into a convenient ebook for you. I have personally blended up every smoothie recipe for my family and friends. The smoothies all passed with flying colors. These healthy free smoothie recipes do not contain any refined sugars, preservatives, colors, mystery powders, or flavored syrups. You can choose what goes into your smoothies. And you pay less than going to a smoothie or juice bar! You can even use all organic ingredients and still pay less. 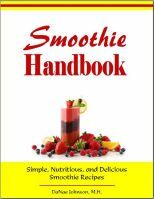 Since the smoothie recipes are on an ebook, you can print out the recipes to try in the convenience of your kitchen. Why run back and forth from the computer screen while retrieving the smoothie ingredients, when you can have them sitting right next to the blender. You really can make your own fruit smoothies. I have faith in you! A green smoothie? Yup! Delicious and nutritious! I and many others have seen overwhelming health benefits of our daily green smoothies. Yes... Dairy free chocolate smoothies! Do you crave sweets? 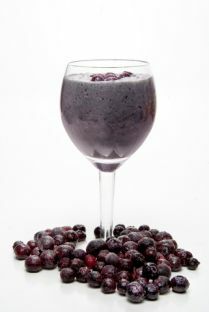 Blend up a smoothie and see how you can satisfy your cravings while giving your body lots of nutrients! Learn how smoothies have changed the health of many others. √ You will receive top secret tips on how to make the best smoothies that can benefit you in my Smoothie Secrets Newsletter! I also answer your burning questions about nutrition and smoothies. So be sure to join in the Smoothie Handbook community and send over your smoothie questions.